Elevate your fashion and glamour quotient with this straight fit kurta from Soch. 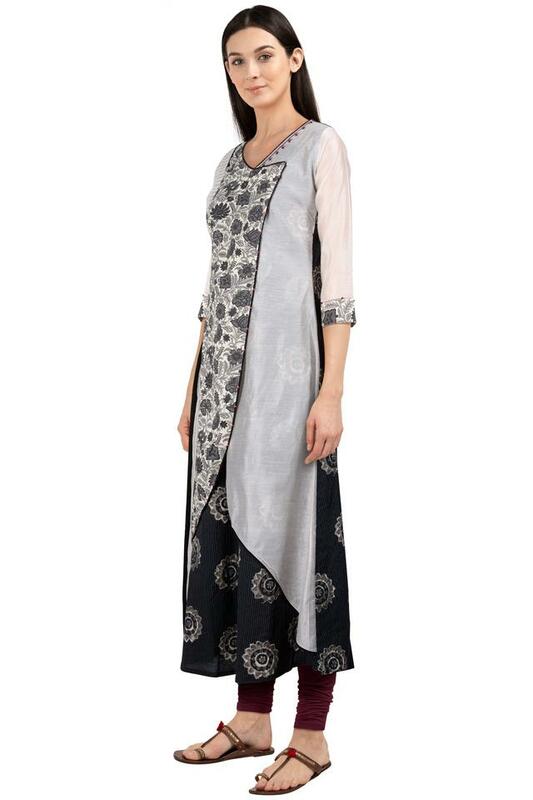 Fashioned using good quality fabric, it will not fail to catch your fancy at a single glance. Featuring a V neck, three quarter sleeves and floral print, it holds a superlative enticement. 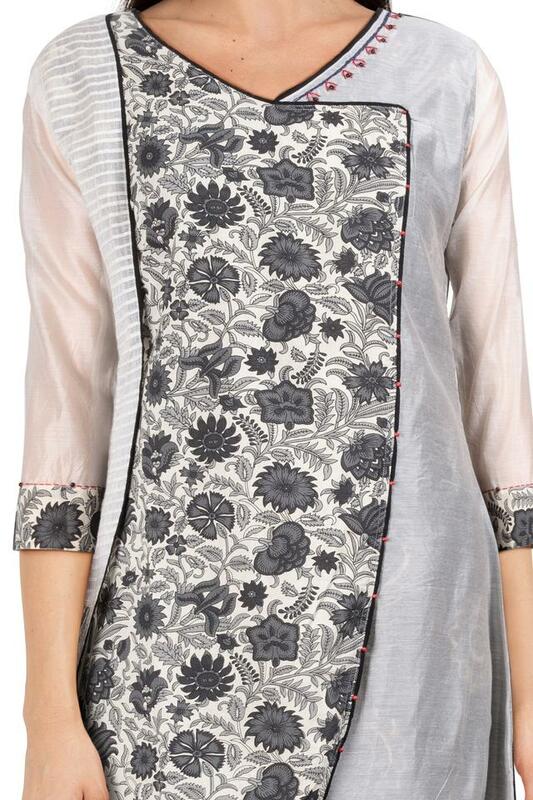 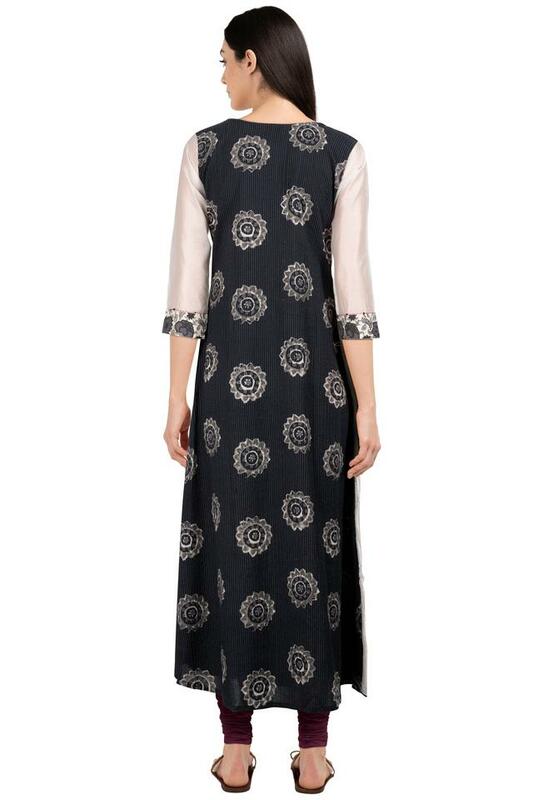 Go ahead and steal the show at any traditional function in this gorgeous kurta. 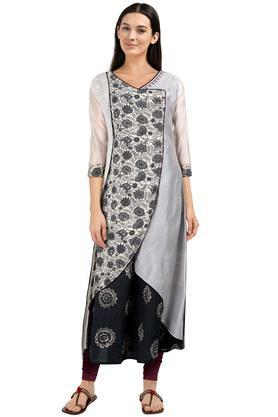 Deck up your look by wearing it with a pair of churidars and sandals for any outing.